The ability to program the flight route and use a wide variety of modules (cameras and sensors) make RoboKopter the ideal tool to monitor and list the heating, gas and energy systems. 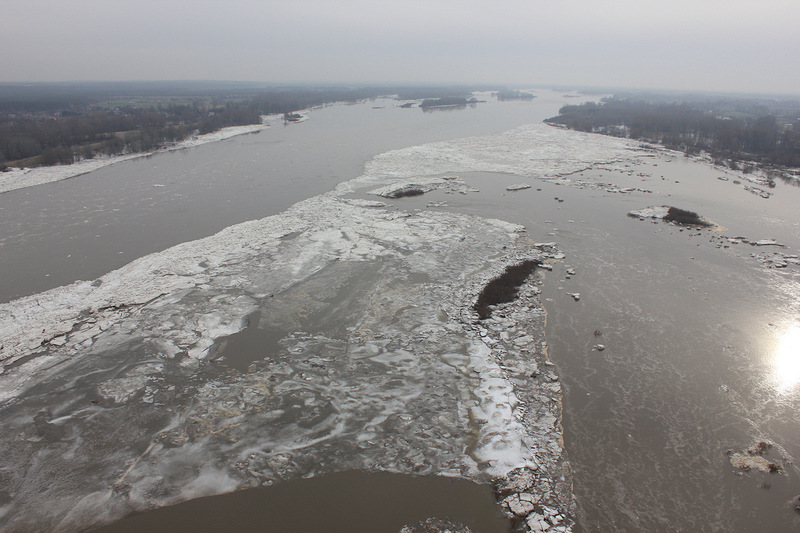 The data collected by our system allow to create a reliable assessment of the status of the lines and their surroundings. 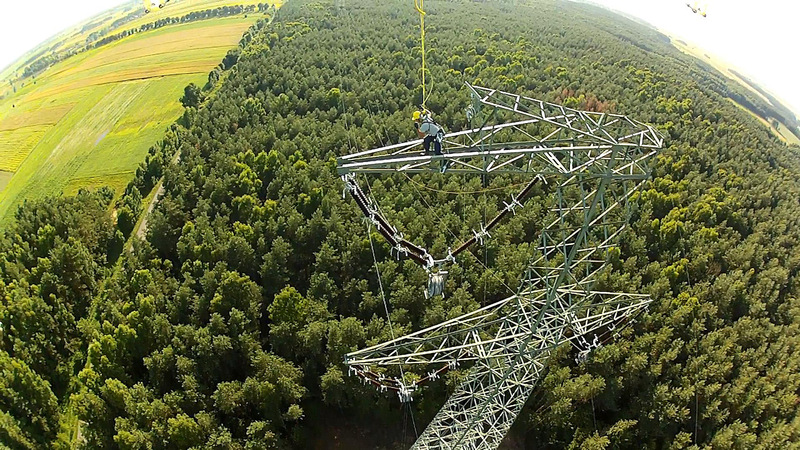 Due to its size and the functionality the RoboKopter, it is also perfect for the construction of the power line network. 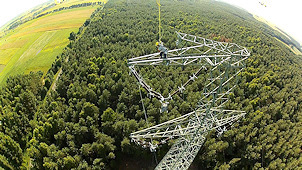 RoboKopters facilitate the stretching of preliminary cables while constructing the lines in a difficult terrain, such as forests, wetlands and roads as well as intersections with other power lines. 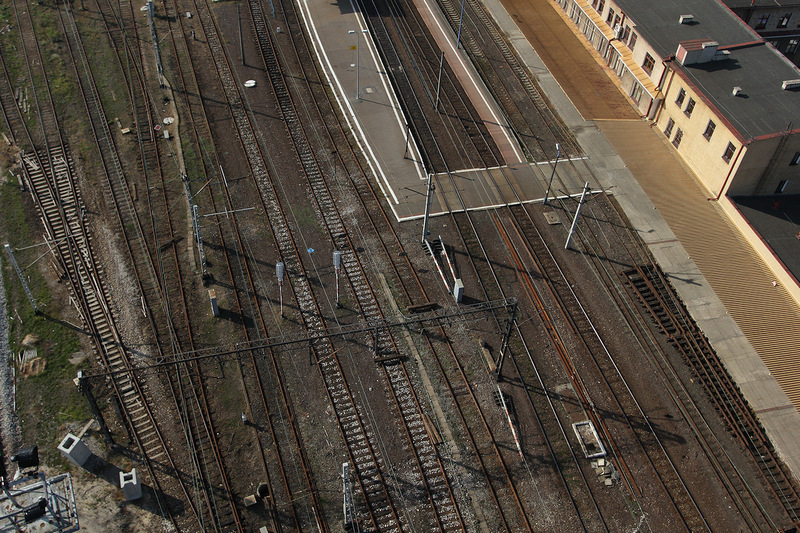 Current projects carried out jointly with Elbud Warszawa, Eletel Olsztyn and Elfeko showed that the process of stretching cables at the 2.5 km long section of the double track line 400 kV using our system, can be done in less than 4 hours. Taking pictures from the air is, as in the case of filming from the air, a perfect example of the ideal jobs for RoboKopter devices. The ability to hover in one place and a platform-independent gimbal allow easy cropping. Advanced flight features let you take photos automatically. Professional cameras and lenses allow obtaining the best quality photos. Specified sequences give one a chance to get amazing effects such as 3D models with very good quality as well as rotating photos. RoboKopter can also be a flying film camera. Thanks to the usage of the best components and their own solutions, both mechanical and electronic, we've eliminated the image vibrations. This allows not only to take the shots for secondary processing but also for image transmission. 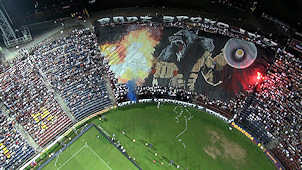 Photos quality depends on the parameters of the mounted camera. Robokpters (depending on the model) are able to lift cameras weighing up to 6 kg. The gimbal working in a sphere provides the possibility of camera framing shots regardless of pilots job to the camera operator. Image transmission in real time, in Full-HD quality at a distance of 600 m makes RoboKopter the ideal tool for transmitting shots from the air for television. 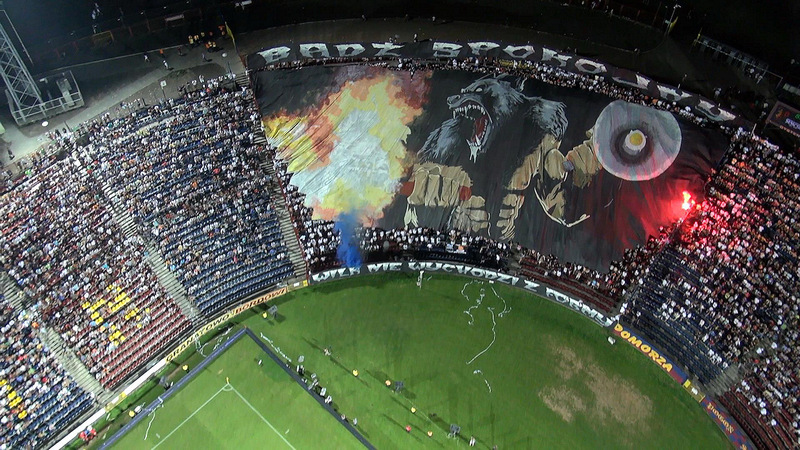 RoboKopters worked perfectly on the set of "The Battle for the House" (emitted by TVN), Polish Rally (emitted by TVP Sport) or Race United Warsaw (broadcast by TVP Sport). 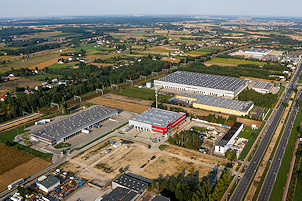 RoboKopters can be used in a process of creating an innovative solution, which is the presentation of the site/plot for a panorama and a dynamic selection of its dimensions and area. 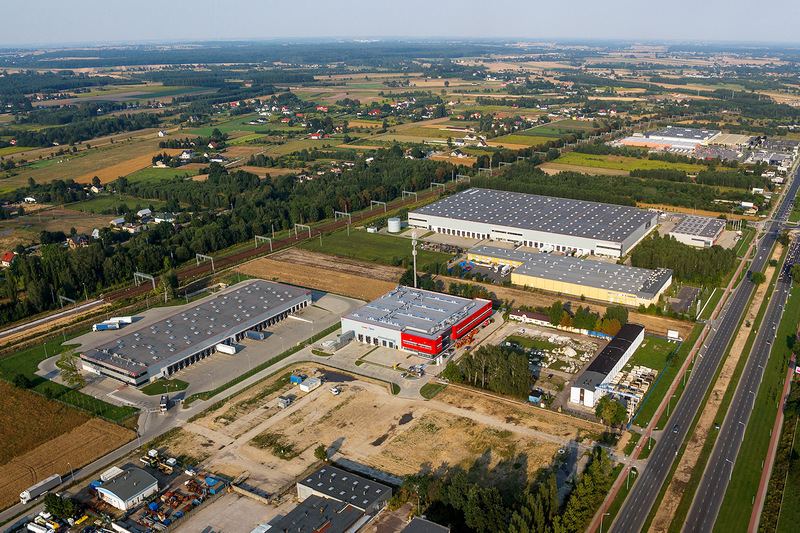 As a few companies in Poland we offer aerial view panoramas in high resolution (also called: gigapanoramas) thanks to which it is possible to zoom in sectors of area shown in the panoramic picture. Unlike traditional aerial photographs that show only the sector (a close range) of the area or object, spherical panoramas allow presenting the entire space of the investment. 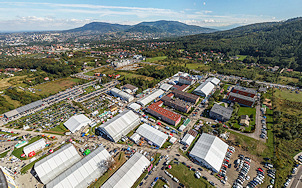 Panoramic photo taken with the help of RoboKopter show, for example: road infrastructure, rail infrastucture, the location of nearby buildings, as well as the arrangement of green areas. Google map and GPS coordinates. RoboKopter as the unmanned aerial vehicle can perform tasks wherever life of the pilot may be at risk. Programmable logic controllers and the possibility to be equipped with the visible light camera, an infrared camera and night vision camera make it possible for our device to get to the crash site without obstacles, to send an up to date image to the appropriate services and monitor the status of the environment on site. RoboKopters work perfectly during floods and fires, and nuclear disasters, whenever it is not possible or way too risky to send the men. 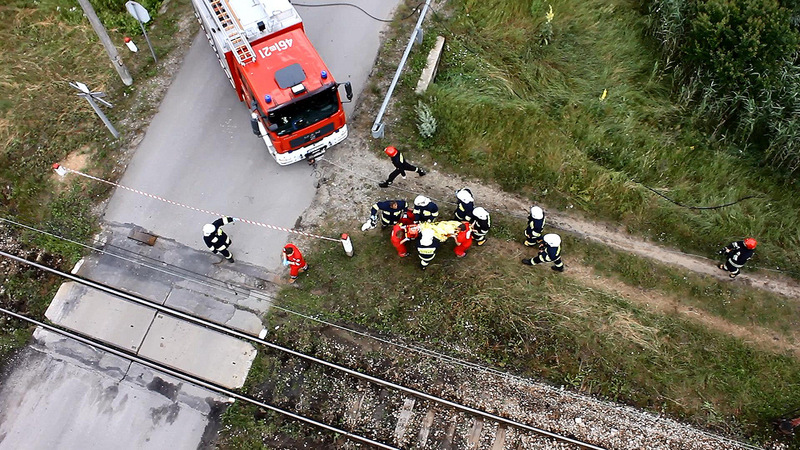 RoboKopters are ideal for monitoring of the damage caused by natural disasters, taking photographs and creating 3d models of communication accidents, as well as following up meetings, outdoor events and riots. 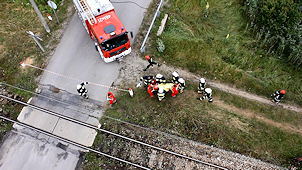 The use of RoboKopters can affect each rescue and search action in a positive way. The system automatically calculates the height, and the number of flights needed, needed to obtain the desired photogrametric material. With rated load of up to 6 kg RoboKopter can raise not only simple but also SLR professional medium format cameras, as well as laser scanners. 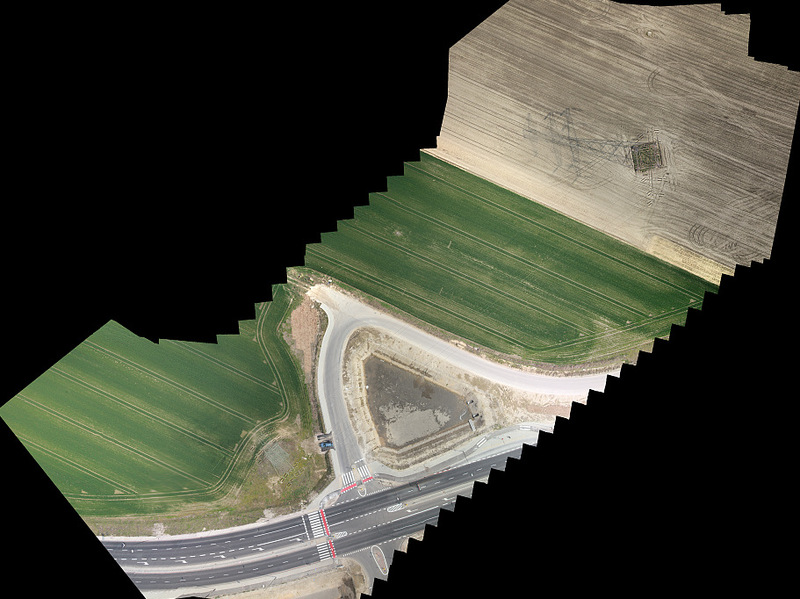 RoboKopters work perfectly as platforms to generate photogrammetric data for areas of 100 m2 to 10 km2, as well as linear objects up to 50 km long (larger surfaces and objects require longer raids and take more than 1 day). Also gathering data for a vertical photogrammetry or the 3D modeling becomes simple, quick and cheap. The ability to fly at any altitude and vertical takeoff and landing make RoboKopters irreplaceable tools for acquiring data in cities and built-up areas.
. Thanks to the technology of the laser scanning RoboKopter can provide data on structural defects as well as the ongoing changes in the time intervals. Data gained by RoboKopter are sufficient source of information necessary to compile the pre-investing documentation for costing works on heights. The use of a thermal imaging camera, ultrasonic sensor or laser scanner will allow to gain knowledge about all external structural defects. Ortho-photo-maps made shortly after the discovery of crops damage help with precise estimation of the size of the actual damage, while being a great material documenting the damages. The use of the multispectral camera allows for the analysis of the condition of the plants. Analysis of the plants condition can be done for both agricultural crops and forests.